Don't stop the Frozen fever just as yet! 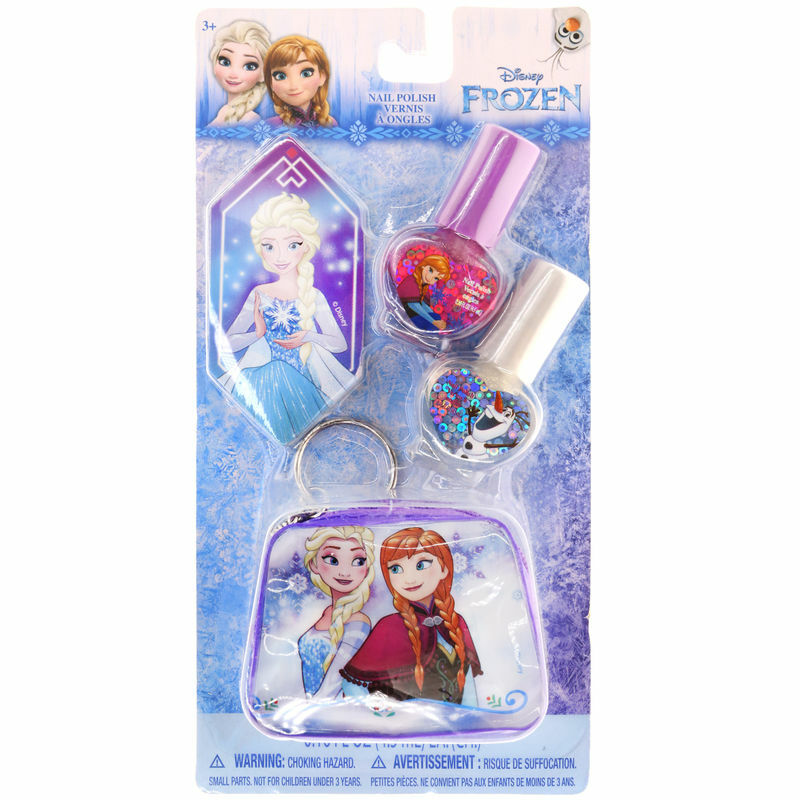 Disney's Frozen Nail Polish Kit will help you give your princess a vibrant look and a royal feel. This kit includes two shades of polish, a rainbow-designed nail file, and even a key chain attached bag for storage.